Under the workers’ compensation law, your employer (and their insurance company) have the right to controvert your claim. 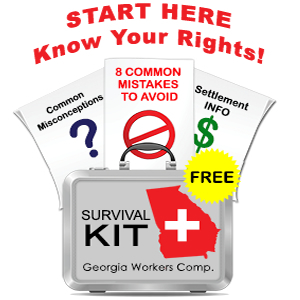 A controvertion means that your employer intends to deny all or part of your workers’ compensation claim. Your employer insurer can controvert your entire claim, or they can controvert parts of your claim. If your employer/insurer denies your entire claim, they will refuse to pay you lost wage benefits and will not pay for medical care. In this case, they are saying that you did not get hurt in the course of your employment. Whatever the reason, if your claim is controverted, you will not receive any workers’ compensation benefit. You should call a lawyer immediately if you get word that your claim has been controverted. Take a look at this video, where I discuss more about claim controvertion. If you case is controverted, there is a good chance that I will immediately request a hearing before the State Board. If your case goes to hearing, I will introduce evidence to show that your injury was compensable and that you should be paid lost wage benefits dating back to the day of your injury, and that all current and future medical treatment should be paid by your employer. Sometimes controverted claims make it to court and are heard by a State Board judge. More often, however, I will be able to resolve your case with some sort of settlement. Sometimes, I will be able to convince your employer’s insurance company to pick up the claim. In other cases, I will negotiate with the insurance company to settle all claims in what is known as a no liability stipulation. In a no liability settlement, your employer continues to deny that your work injury was legitimate, but they agree to pay you a lump sum to quit your job and move on. Often my clients express anger and disappointment at the conduct of their employers when a claim is controverted. It can be very disheartening when you have been working for a company for many years, yet they deny your work injury claim and seem to be accusing you of dishonesty. You should realize that in most cases, your employer (your direct supervisor, the owner of the company, etc.) does not get involved in making decisions about your case. Instead, an insurance adjustor and possibly an attorney hired by the insurance company will act on behalf of your actual employer. Therefore, do not be surprised when the insurance company takes a hostile stance against you, even if your boss has always been pleasant and cooperative.